Flip Flop Wine Bags with Flip Flop Wine are a great combo! 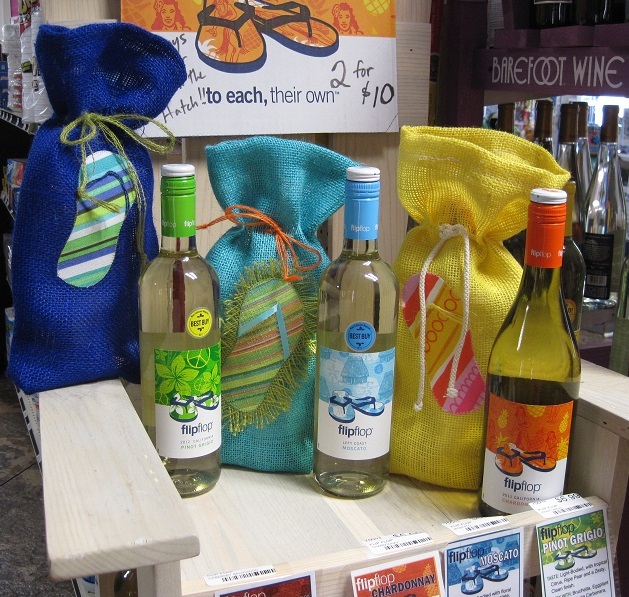 This is not a display at the Down the Hatch Party Store in Holland, Michigan located at the Yacht Basin Marina! 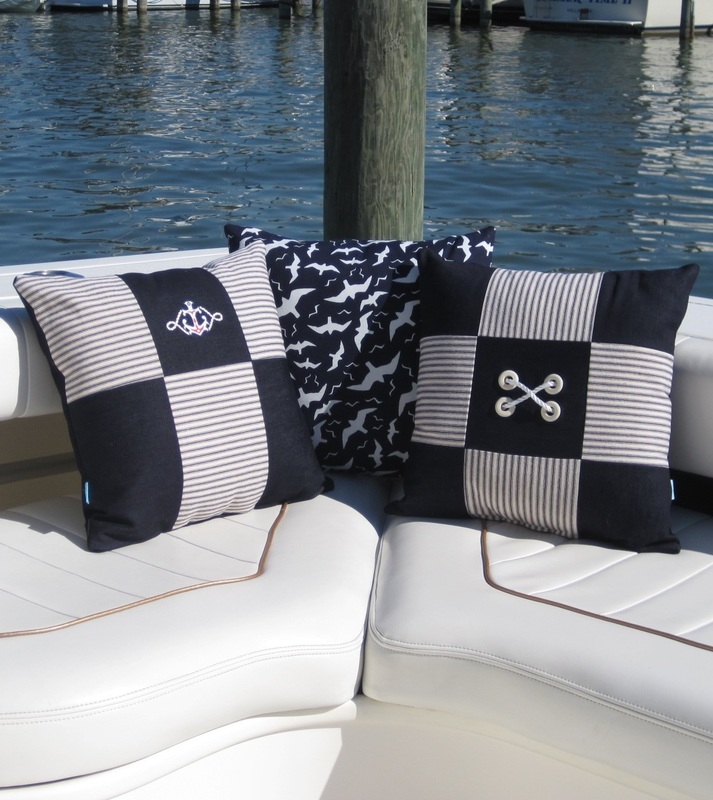 Don't go overboard with nautical styling! 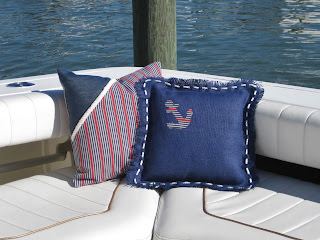 Ticking, denim and burlap are still some of my favorite materials to create a nautical look without going overboard. They are subtle and classic. 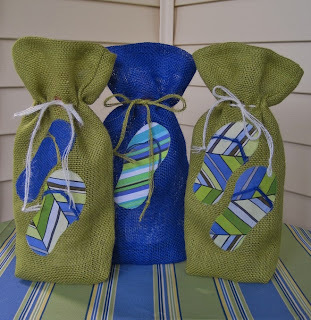 Here I've used a deep navy and off-white ticking along with denim to create two of the designs. By adding a nautical applique to one and some dock line laced through a few grommets, the nautical style pops. I couldn't resist when I saw the navy and white seagull cotton print. Same with this soft red, off-white and blue brushed denim. I clipped a corner and filled it with a solid denim and separated them with a touch of 'rope'. The navy burlap sports an anchor applique of the same brushed denim with dock line woven around the flange. I know this isn't a sewing project, but I just had to share because I'm so thrilled how it turned out. This is a piece of driftwood I found on the beach and hauled home one wet, cool day. 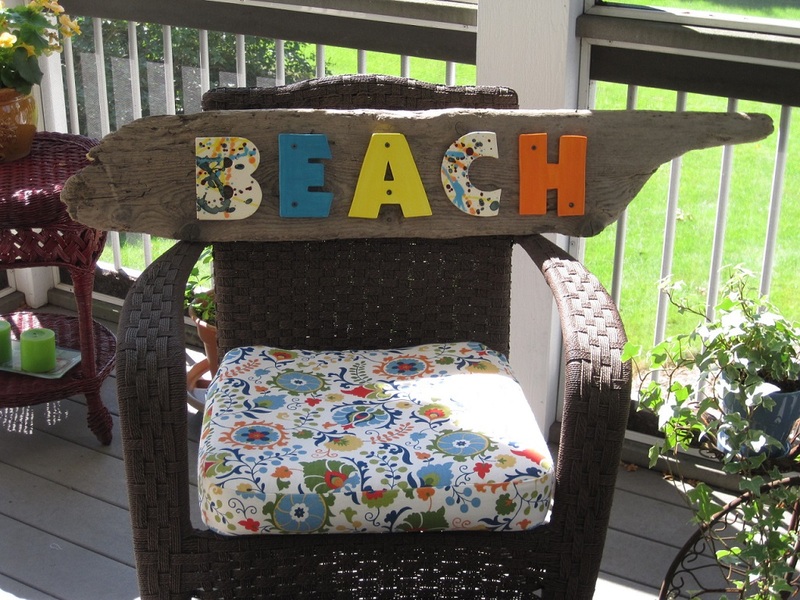 I purchased these ceramic letters from one of the artists at Creative Corner and have created this fantastic beach sign! I really like how it looks with the upholstery fabric on my screen porch furniture. Don't you just love when a plan comes together. I had some placemats that I never sold through my Float retail store so I decided to 'repurpose' them into nautical pillows! The front of the pillow is the placemat and an extra piece of fabric so I could make an 18" square pillow. I've connected the two fabrics with trim or piping, depending on the design. 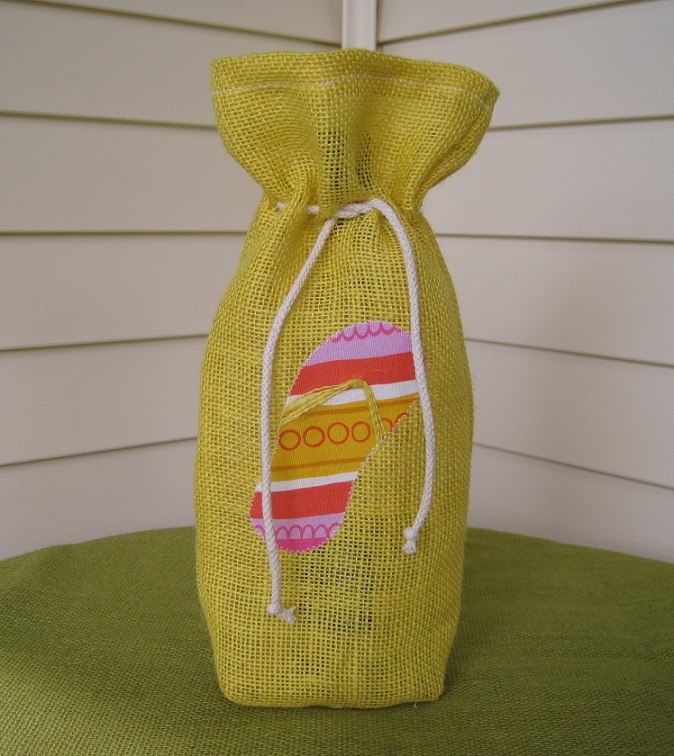 The pillow back is made from the matching napkin. Clever, huh? Flip Flops are so fun to cut out and applique I could resist putting them on wine bags. Here are some of the latest. 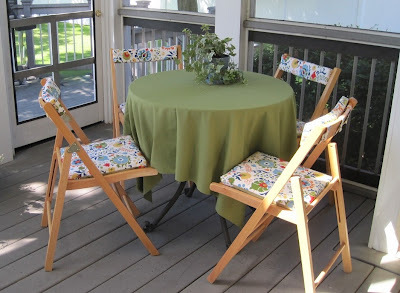 It all started with my garage sale find of these cute wooden folding chairs. They were $5 each -- how could I pass them up! 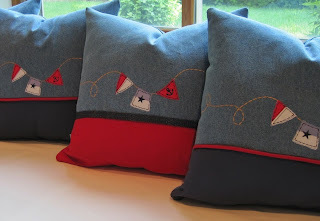 Admittedly, they were not very comfortable, so I made these back and seat cushions which make a world of difference. All have tabs that just Velcro on and off. It was a fun project. Lunch anyone? !